I advise multinational businesses in improving the efficiency and effectiveness of their Indirect Tax Function and Tax Control Framework. 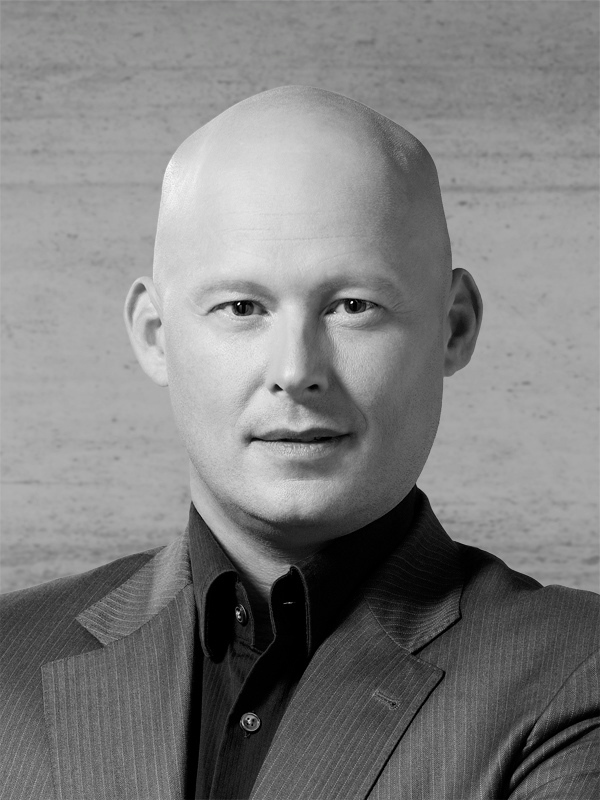 I started my career as a manager at Arthur Andersen and then became a partner in EY where I led the indirect tax performance team for Netherlands and Belgium. I have over 20 years’ experience advising clients on international VAT issues. I am specialized in the tax aspects of financial transformations, shared service centre migration, and post merger integration work. I am also somewhat of a mentor, giving back to the profession. If you are interested in conversation and discussion, please feel free to contact me. From 1 July 2018, taxpayers are as stated earlier obliged to provide within 24 hours invoice data for domestic transactions with a minimum VAT amount of 100,000 HUF (322 EUR). 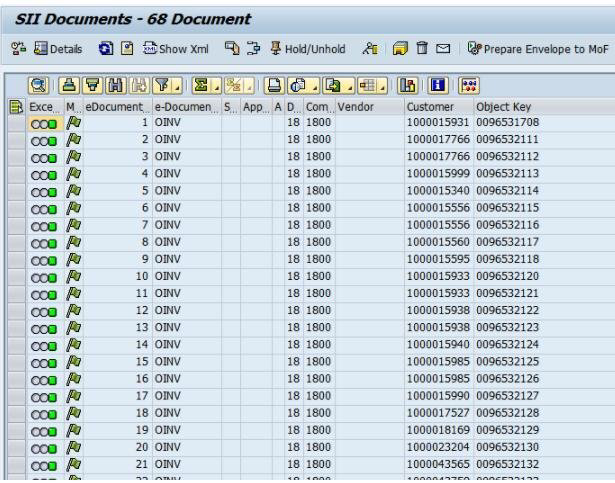 Although we offer a fully SAP-integrated solution in SAP itself to submit required data in an automated way, it is essential to review whether the data in SAP itself is correct and complete. The Key Group has recently delivered its Hungarian SAP health check pilot for one of its major clients, and the outcome was that quite some changes in SAP had to be made to avoid either future questions by the tax authorities or announcement of a tax audit when data is submitted mid-2018. Please keep in mind that the Hungarian tax authorities are aware that SAP setup itself is often not in order and that tools outside the ERP system are used to remediate and manipulate tax data outside of SAP with the purpose to improve tax reporting. The full automated legal requirement is to force taxpayers to remediate the ERP VAT setup itself and realize that taxpayers do not use workarounds as Excel sheets or similar tools outside the ERP system as human intervention is not allowed. The Key Group offers an SAP health check specifically on the Hungarian legal requirements defined in XML format. In order to maximise TNA’s potential to identify fraudulent networks across the whole EU, Regulation (EU) No 904/2010 would make clearer provision for the joint processing and analysis of data within Eurofisc. Involvement in such processing and analysis will remain voluntary. However, all Member States should grant Eurofisc officials access to their VIES data on intra-Union transactions through TNA. In that way the software can identify all potential fraud networks, including those involving traders established in non-participating Member States. According to the Commission's proposals, VAT will now be charged on cross-border trade between businesses. 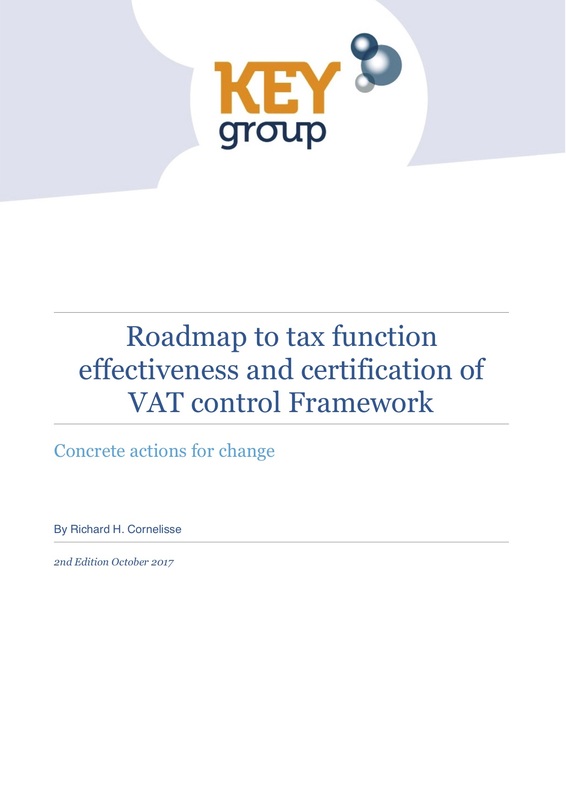 Currently, this type of trade is exempt from VAT, providing an easy loophole for unscrupulous companies to collect VAT and then vanish without remitting the money to the government.It will be simpler for companies that sell cross-border to deal with their VAT obligations thanks to a 'One Stop Shop' (OSS). Traders will be able to make declarations and payments using a single online portal in their own language and according to the same rules and administrative templates as in their home country. 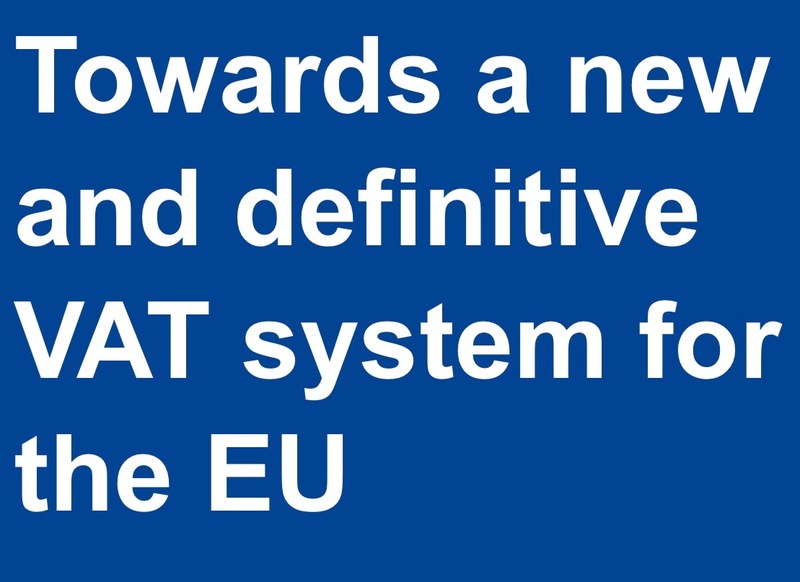 Member States will then pay the VAT to each other directly, as is already the case for all sales of e-services.The Commission also proposes a move to the principle of 'destination' whereby the final amount of VAT is always paid to the Member State of the final consumer and charged at the rate of that Member State. The fierce debate on a fair distribution of tax revenues by governments has reached new heights. Tax shift due to risk allocation of transactions to low tax rate countries and even globalization itself are under political discussion. Protectionism is an important part of the strategic objectives of certain governments. Additionally, the discussion concerning BEPS and state aid have caused fiscal uncertainties that force companies to reevaluate risks. In some cases this can even lead to changes in the business model. Current business models are put under a magnifying glass, but also the change of business models – for instance from commissionaire to limited risk distributor – will get attention from the tax authorities. 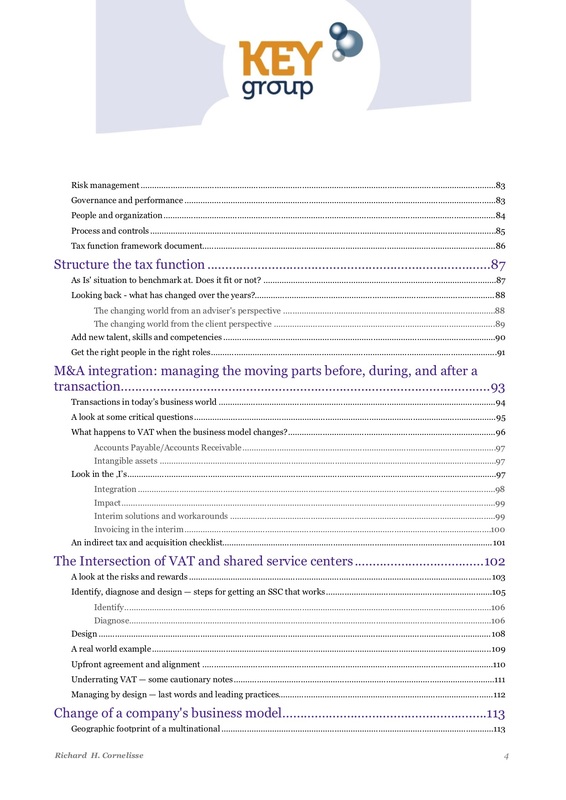 A reorganization in the Dutch Tax and Customs Administration has established the objective that routinely and labor-intensive, yet relatively simple control activities are to be taken over by automated processes. That is, modern technologies appear to substitute to role of the ‘traditional’ tax auditor. The idea is that new computer systems and data analysis software will allow data files from different source systems to be connected, thereby enabling more efficient tax control and requiring fewer ‘traditionally educated’ employees. 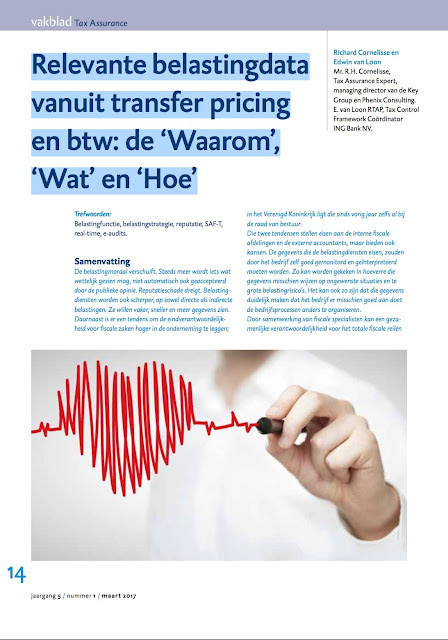 Transfer pricing and/or VAT regulations are still not sufficiently taken into account in the development of VAT-automation regarding business processes. This makes that the data that is captured in a vast amount of financial administration, can ‘impossibly’ be compared with that which is stated on the tax returns. Complementary to the existing and more traditional tax reporting in countries like Austria, France, Lithuania, Luxembourg, Norway, Poland, Portugal, Spain already (close) to real time data request have to be submitted and/or should be available on short notice when a tax audit is announced. In countries like Austria, France, Lithuania, Luxembourg, Norway, Poland, Portugal, Spain already (close) to real time data request have to be submitted and/or should be available on short notice when a tax audit is announced. Italy, the VAT invoices data informative reports must be filed with the tax authorities on a six-monthly basis starting by September 18, 2017. From 2018 the deadlines will be on a quarterly basis. For Hungary realtime invoicing is postponed to 1 July 2018. Companies need to have a solution implemented that is capable of real time data transfer by 1st of July 2018 at the latest. It is however not clear how the tax authorities actually will analyse the data received. That might change soon as their strategy is an improved and faster tax audit including combatting VAT fraud as an overall EU priority. It’s essential that change comes from the organization itself. An advisor can repeat this over and over, but if it isn’t carried out within the organization, by the people who actually have to work with it, nothing will change. And that deadlock must be broken. What should be done to actually break it? The Spanish SII filing, a new requirement introduced by the Spanish government, requires taxpayers to submit VAT relevant transactional data of their Accounts Payable (AP) and Accounts Receivable (AR) records in a specific XML format close to real-time to the Spanish tax authorities (AEAT). To support these new regulations our clients have implemented our SAP add-on for Spain. That is a SAP integrated solution for Spain with a cockpit to select reportable outgoing and incoming invoices, create periodic SII files (envelopes), E-submission of SII XML files and control reports. 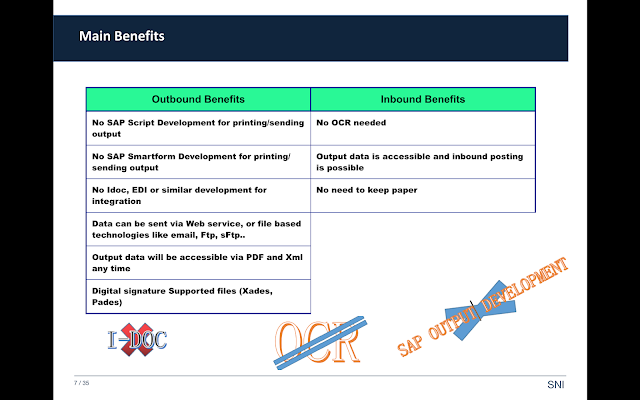 The creation and submission of the SII reports could be fully automated in SAP Batch jobs. It is however also possible to do some SII reports (for example the sales invoices) fully automated and other SII reports (for example the incoming invoices) manually. 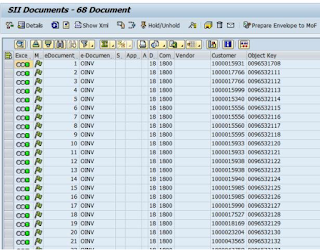 SNI SAP-ZUGFERD is a SAP certified SAP add-on enabling electronic invoice exchange including structured data in an efficient way. ZUGFeRD is an abbreviate for »Zentraler User Guide des Forum elektronische Rechnung Deutschland«. It is a new invoicing standard that will play a major role in efficient and effective electronic invoicing. 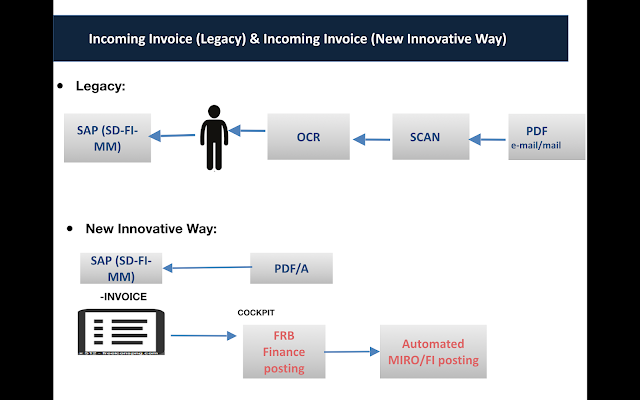 ZUGFeRD invoices carry both a human-readable representation (rendering) of the invoice as well as a structured machine-readable XML representation. 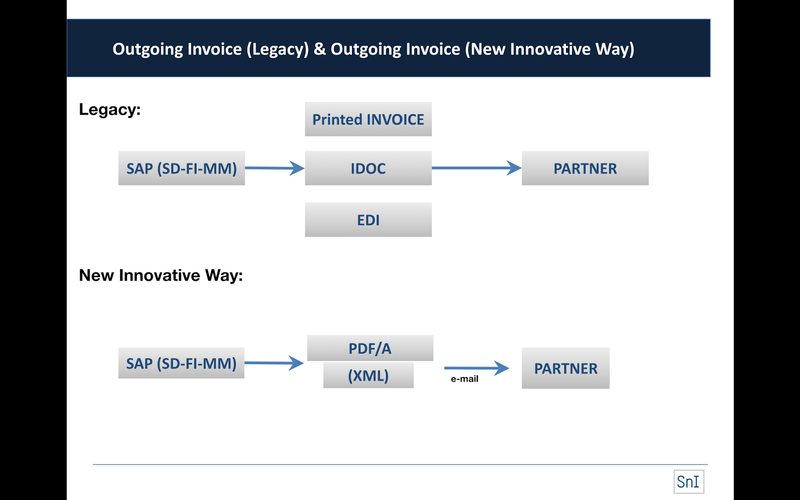 For companies that run SAP we have developed a SAP add-on solution by which e-invoicing requirements can be met in efficient and effective and automated fashion in SAP itself. ConVista is an experienced consulting firm with a large track record in the design and installation of financials & treasury applications with SAP. We offer comprehensive IT consulting services complemented by custom software development. ConVista provides a complete service offering from a single source. Streamlined processes, a higher degree of automation and shorter project durations serve as indicators for improved efficiency. Expertise in process, technology and methodology form the fundamental components of our work. We combine long-lasting experience in the implementation and delivery of large programs with in-depth knowledge of treasury applications from SAP. Hemos desarrollado una iniciativa conjunta con el fin de establecer sinergias para ayudar a nuestros clientes en los desafíos de negocio de SAP. Los expertos en impuestos SAP - KEY Group y Phenix Consulting - forman junto con SNI un partner global de SAP y una compañía de software líder en el área de factura electrónica, e-book, e-archive, e-ticket. Además nuestro partnership con ConVista nos permite dar cobertura a nuestros clientes en numerosos países, facilitando la implantación y mantenimiento de nuestras soluciones. La principal actividad de SNI consiste en proporcionar add-ons certificados por SAP para cubrir los requisitos legales en un gran número de empresas ampliamente conocidas. Por este motivo disponemos de expertos senior en el área de impuestos que trabajan conjuntamente con expertos de SAP (funcionales y técnicos), lo que nos permite un tiempo de respuesta rápido y una alta calidad. A partir del 1 de julio de 2017, más de 62.000 empresas estarán obligadas a gestionar el IVA de forma electrónica. Se trata de un nuevo sistema electrónico para la declaración telemática de los libros de registro del IVA, que nace con el objetivo de agilizar el cumplimiento fiscal y las devoluciones de este impuesto. La nueva plataforma de SII se centra en la obligación de la emisión y declaración electrónica del detalle de las facturas emitidas y recibidas por parte de una empresa. Así pues, el modelo impulsado por la AEAT permitirá comunicar en tiempo real las operaciones comerciales realizadas por las compañías, incrementando la rapidez y eficiencia del control tributario y fiscal. Más información: Suministro Inmediato de Información (SII) en España. El add-on es escalable. Algunas configuraciones son específicas de cada país y otras son compartidas. SAF-T está disponible para Francia, Polonia, Lituania, Noruega y ahora también para España (SII). Los nuevos requisitos en tiempo real para Hungría e Italia ya están en desarrollo. Nuestro objetivo es tener add-ons para todos los países que implementan la presentación de informes SAF-T.
La Agencia Tributaria implanta un nuevo sistema de gestión del IVA basado en el Suministro Inmediato de Información (SII). El denominado “IVA online” es un procedimiento de gestión telemática u online con la Agencia Tributaria (AEAT), mediante el cual las empresas tendrán que comunicar los registros de facturación (no las facturas) de forma electrónica. Con esta información, la AEAT irá configurando, en tiempo real, los distintos Libros de Registro. La buena noticia es que contamos ya con una solución para el SII integrada en SAP. El nuevo marco regulador no es algo nuevo para nosotros, ya que hemos desarrollado en el pasado reciente soluciones similares para Polonia, Lituania y Noruega. Hemos desarrollado una solución mediante la cual la presentación electrónica de los datos requeridos de facturas AR/AP está totalmente integrada en SAP, sin necesidad de una interfaz o software externo. Con esta solución, la presentación de las facturas solicitadas se puede realizar de forma automática y cumpliendo los plazos estipulados. Nuestra solución SII para España está lista y se puede ejecutar a través del propio entorno SAP. ¿Cuáles son los aspectos clave del SII? The external auditor’s task is only to provide an opinion whether the annual accounts provide a true and fair representation of the company's affairs. He or she is not asked to provide a statement regarding the accuracy or the acceptability of the submitted return for corporate tax, income tax, VAT etc. The examples of tax situations listed below should, however, also receive full attention from auditors. The amount of media attention, public indignation and political reactions these cases have received – including for instance that of US senator and (former) presidential candidate Bernie Saunders – emphasize the differences in tax morality. Why should ordinary citizens comply with tax obligations, while multinationals or soccer players are attempting to avoid paying a ‘fair share’ of taxes by means of tax-saving structures? Both media and politics have given a great deal of attention to cases such as the ‘Panama Papers’, ‘Lux Leaks’, ‘The Netherlands Tax Haven’ and ‘Football Leaks’. In the context of an investigation regarding state aid, the European Commission states that providing tax rulings (advance pricing agreements; APA’s) should not result in situations in which some taxpayers pay less than other taxpayers under the same circumstances. As a result of the Panama Papers, many Corporate Service Providers, shell corporations and advisors are interrogated by the Dutch parliament with regard to tax avoidance and tax evasion. Tax moral is shifting. More often what is (still) legally allowed may not automatically be accepted by the public opinion. Reputational damage is imminent. Both on direct and indirect taxation the tax authorities have set their priorities. The tax authorities not only want to receive more tax data, but also faster and more often. In addition, there is a tendency to allocate the ultimate tax responsibility at the highest level in a company. Since last year in the United Kingdom the Board of Directors has to sign off the company's tax strategy and also publish the strategy externally. When all tax disciplines (e.g. TP, indirect tax; etc.) work together a joint responsibility for the overall tax affairs of a company could be established. That might facilitate the buy-in for tax investments. When successful tax can take the place it deserves: an important part of a company's business strategy. 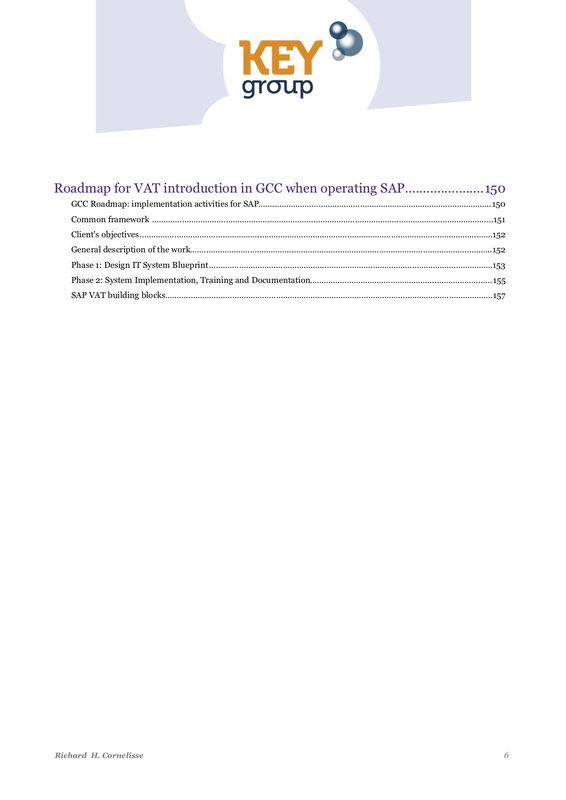 We offer a new SAP add-on solution that creates automatically the VAT Smartform from SAP. When our SAF-T SAP add-on solution has been purchased this additional functionality will be managed under SAF-T cockpit as a different report. Companies selling across European Union borders have to submit EC Sales List (ESL). 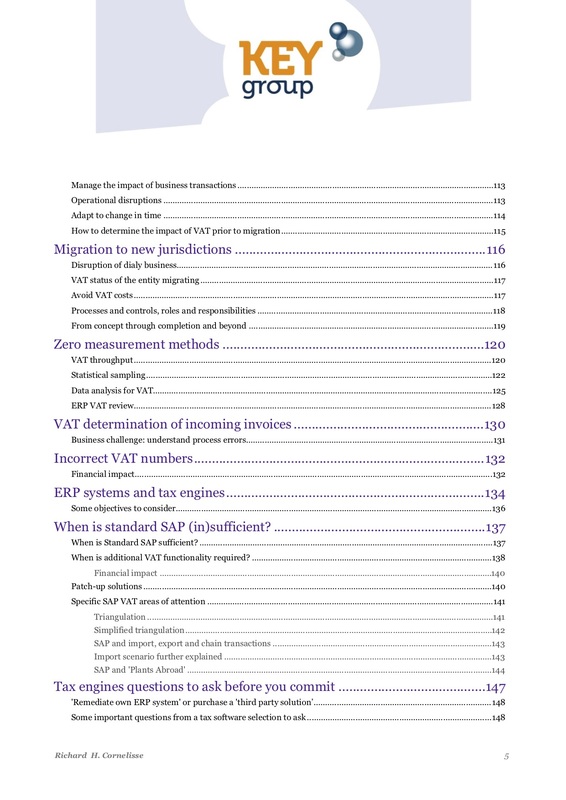 This should contain the details of sales or transfers of goods and services to other VAT registered companies in other EU countries summarized per VAT registration number. The tax authorities in the EU use the listings to check whether VAT is declared by the parties involved in cross-border transactions (e.g. no mismatches). In Poland a specific extra local requirement applies. As of 1 January 2017 taxpayers making transactions with EU members will be required to submit mandatory the declaration in electronic format. The Polish tax authorities provides a VAT Smartform PDF that a company has to fill in with the requested information. That Smartform is mandatory and must be used to meet the requirement. Without automation support the data has to be entered manually by the company. Entering data is a time consuming process. Besides the impact on internal resources, such manual activity increases the risk of data errors, i.e. with entering the VAT registration numbers in the Smartform. Stricter penalties apply for individuals involved in tax fraud and penalties are introduced for taxpayers who do meet the legal requirement of submitting declarations in electronic format. 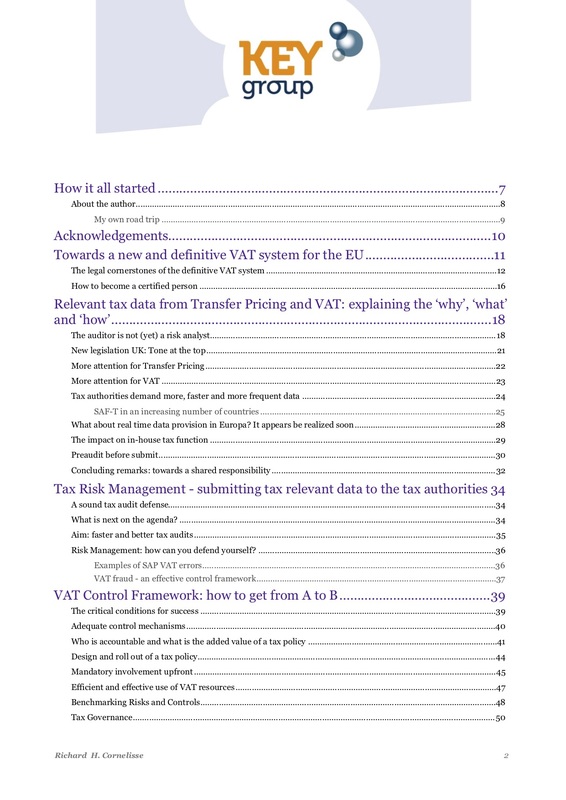 Tax authorities around the world want to receive more frequent and faster tax relevant data for e-audit purposes to analyse Corporate Income Tax (CIT) and VAT positions taken to combat VAT fraud and to determine whether actually a fair share is paid (Base Erosion and Profit Shifting: 'OECD's BEPS'). More countries will therefore move to data request to monitor and electronic audits (e-audits) taxpayers. SAP itself does not provide an E2E solution to meet these (new) legal requirements. 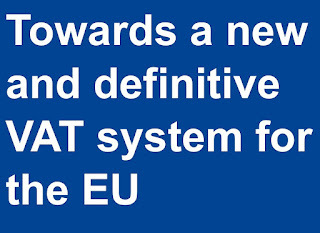 More an more countries will implement 'the Standard Audit File for Tax Purposes (SAF-T) developed by the OECD. 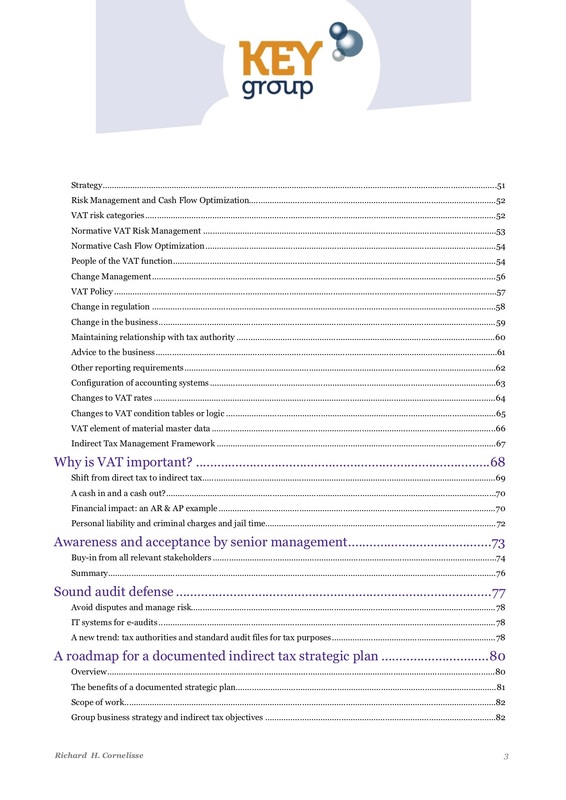 This format is intended to give tax authorities easy access to the relevant data in an easy readable format. This leads to much more efficient and effective tax inspections. E-audits will be performed - using data analytics - on data submitted electronically by the taxpayers. Do we see tax technology as an enabler or as a 'magic' way to be and get in control? A Tax Control Framework should not operate in silo, but has to be aligned to the company's business control framework (BCF) and should cover more from a tax risk management perspective than only compliance and financial risks. There are various BCF models developed and therefore differences exist between companies. That same principle applies when we 'wish' for example to copy paste a 'Best practice tax technology framework' from one multinational to another multinational. The devil is often in the 'implementation' / 'configuration' detail as most of the time it is not 'Plug & Play'. For example the legacy systems, business models and/or the structure of the tax function could be different. When we talk about tax control framework do we focus nowadays not too much on compliance and financial risks? Technology might be an enabler to manage such change management process better, but the people element ('the interaction') - especially if many work streams are involved - are the key drivers that together can realise 'being in control' at go-live and beyond. 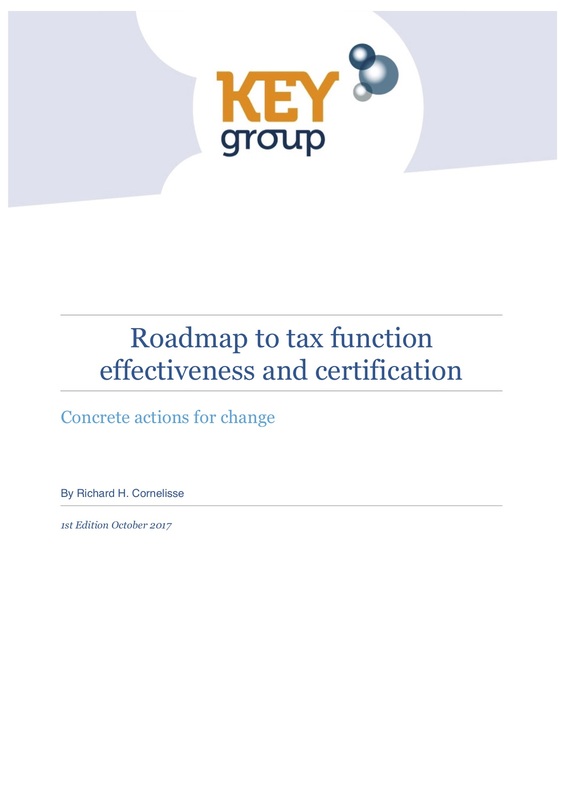 Anticipating in time on tax developments and take action 'see the 4 questions I raised and the answer I gave above' is an other example that highlights why managing change is important from a tax control framework as it impacts all the risk categories including reputational, strategic and operational risks. I truly love innovation. The sooner the better, but I consider all the stories about artificial intelligence and robotics still science fiction when this is discussed in connection to indirect tax. A critical condition for success would be that ERP systems supported by tax technology could actually present real-time all the company's (intercompany) business transactions. However, real-time access to a company's blue print is often a recurring bottleneck during business model change (see example 'Commissionaire to LRD'). Certain consultancy firms perform such transaction mapping exercises still via interviews. Without access to a complete data set, is artificial intelligence not useless? I am following the developments of Apple’s Siri of and of Google in general with great interest. Siri is the speech recognition engine that Apple uses as a virtual personal assistant for their devices. The software truly understands your questions, searches the web and provides you with answers immediately. Google’s executive chairman, Eric Schmidt, has conceded that Siri could pose a “competitive threat” to the company’s core search business. Will such technology in the end truly understand all your technical questions? Is a virtual personal assistant going to respond immediately? Is this science fiction or our near future? I am aware that some people will argue that certain knowhow depends on individual skill sets and expertise. For the moment, they are right, but they might be proven wrong in the future. The good news is that the profession of service providing is a people business. We like to be connected to people. Maybe the statement about automating the adviser is a bit too provocative, but I still believe a lot more can be automated than we can currently comprehend. Having an open mind is the message I want to get across. The only things that probably cannot be automated are our feelings and interactions. That is why it is and will remain a people business. Lets just assume that tax transparency and disclosure of tax risks to the tax authorities is mandatory in force in every country and that the effectiveness of a tax control framework should be proven. Are OECD's Standard Audit File for Tax Purposes data requests (monthly and on request) - now rolled out in various European countries - the start of a new beginning for better audits by the tax authorities? Is it likely that tax authorities will get access to more sophisticated tax analytics tools? Do companies need better risk management tools to meet tax objectives set derived from business objectives? Do companies face additional tax risk due to (close to) real time data requests of the tax authorities - implemented for example in Brasil and will be in force in Spain per July 1, 2017 - and does it impact a company's audit defense, tax risk management, ERP systems and tax technology? Without doubt, the answer to all questions is a resounding yes.